One hears many proclamations about "freedom of choice" by critics of the Canadian Wheat Board (CWB). The Canadian Wheat Board Act was brought into law in 1935 to provide wheat farmers with freedom from exploitation by unscrupulous grain merchants. It is my view that international grain merchants see the CWB as an obstacle and would like nothing better than to regain their freedom to maximize profits at the expense of Canadian farmers, who, without the Board, would once again be compelled to compete against one another in the marketing of grain. Thanks to the powerful lobby of these international grain merchants, the Board has gradually been stripped of many of the powers that enabled it to do a better job. Nevertheless, it is still doing a commendable job of obtaining the best possible price for the grain under its control. It has been able to achieve this primarily because, as a single desk selling agency, it has bargaining power, something individual farmers lack. Civil servants at the Canadian Wheat Board, hired by the federal government for their expertise in marketing grain, work in the Board’s “war room” studying every aspect of wheat and barley production and marketing throughout the world. They are charged with the responsibility of marketing these grains at the best possible price. They have a few things going for farmers that individual farmers don’t have. They know that they control a respectable volume of grain that is traded in the world market. I've no doubt that international grain merchants enlist the help of phony farm organizations and unsuspecting farmers in their extensive media campaign to portray the CWB as a villain that robs farmers of their "freedom." Here, again, the strategy is to create the illusion that it is the farmers themselves who want to destroy the Board. 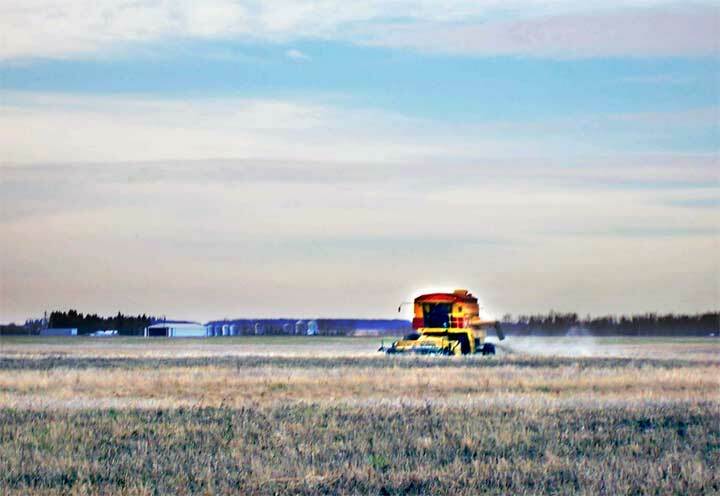 While there are isolated cases where farmers living nearer to the U.S. border may benefit from direct sales to U.S. buyers from time to time, the majority of grain farmers in western Canada support the wheat board because they know that power respects only power, and that the Wheat Board's single desk marketing system gives them an important advantage when competing on the world grain market. So my advice to members of parliament is to stop and soberly consider before they condemn the CWB. They should not allow themselves to get caught up in the cliches about “freedom”, “secrecy”, “choice” “dual marketing”, and all that misinformation being spewed out by those who would like to profit from farmers’ lack of bargaining power. Without a guaranteed initial price, farmers could end up with a freight bill instead of a cheque when the bottom of the grain market falls out, as it occasionally does. The Board protects farmers from surplus grain being dumped into Canada at fire-sale prices and its regulatory powers ensure fair grade and dockage. Parliamentarians should also be aware that once the Board is dismantled, they won’t, under the terms of the North American Free Trade Agreement (NAFTA), be able to have it reinstated.